ARCH Cutting Tools is a family of companies that collectively manufacture high quality cutting tools for industry. Our plants are located throughout the United States and we are extremely proud that all of our products are 100% American made. KEO Cutters is the recognized North American leader in the production and sale of combined drills and countersinks (aka “center drills”) since its inception back in the 1940s. The KEO brand is synonymous with quality and our products are used by the most successful machining businesses throughout North America and the rest of the world. In addition to center drills, KEO also is a leading supplier of countersinks, NC spotting drills,counterbores and keyseat cutters. All of these products are sold through our loyal distributor and catalog house customer base. In addition, these products are all manufactured in Warren, Michigan by a group of the most talented equipment operators in the world. Many of our employees have been manufacturing KEO cutting tools for over 40 years! Our cutting tools are offered in high speed steel, cobalt and carbide versions, in most cases. In addition to our standard product offering, KEO Cutters also is a leader in the production of custom or “specials” tools to your print. Our talented engineering staff can even assist you with the development of custom tools to meet the unique challenges of your specific machining application. Recently KEO Cutters has expanded its offering to address international markets and international sales growth remains a top area of focus for the business going forward. KEO Milling Cutters, sister company to KEO Cutters, has been the recognized market leader in milling cutters for more than 30 years. KEO Milling Cutters uses the highest quality control standards to produce not only milling cutters, but also saw blades and customized “shank style” cutting tools for the North American market. Our tools are used extensively in the manufacturing of firearm components, as well as in several other industrial applications. We have a core group of skilled craftsmen that produce cutters, saws and shank tools on older equipment. More recently, through our acquisition of Production Tool & Grinding in December 2013, we have added extensive CNC grinding capabilities and a wealth of experience in designing and producing custom carbide cutting tools for aerospace and power generation applications. ULTRA-DEX USA takes pride in American manufacturing by committing to the highest quality while remaining a competitive value in the supply of cutting tool systems for industry. We manufacture a variety of indexable cutting tools, specializing in boring, milling, drilling, tool holding and inserts. Over the last several years we have dramatically increased the scope and breadth of our product offering and we will continue to so going forward, in response to the needs of our growing and successful customer base. ULTRA-DEX Tooling Systems is a leader in specialized services for indexable cutting tools. The cornerstone of our services is custom build manufacturing, detail and assembly. We are experts in reconditioning used or damaged indexable tools and are committed to a revitalized restoration. Richards Micro Tool (RMT) has been a leading supplier of miniature end mills since its origins back in the 1960s. Over the years RMT has continuously expanded its product offering, though always staying true to its niche of miniature cutting tools and instruments. Over the course of the last decade the company has invested heavily in CNC grinding equipment to allow it to enhance the consistency and effectiveness of its cutting tools. Also in the last decade the company expanded its operations to produce medical and dental cutting instruments. These cutting instruments are typically made of stainless steel to customer prints. Similar to our focus on the industrial side of our business, we tend to focus on small diameter instruments that lend themselves to minimally invasive surgeries. On the industrial side of the RMT business we remain focused on the production of high precision end mills made from carbide, though we do continue to offer end mills made from cobalt as well. RMT has long been blessed with an extremely talented and dedicated work force that prides itself on the quality of the product that we produce. Our medical and dental products are produced on a contract manufacturing basis directly for our OEM customers, while our industrial cutting tools are sold by our loyal distributor base throughout North America. 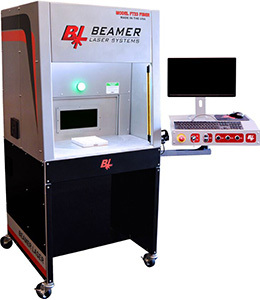 Beamer Laser Marking Systems means American-made quality in a full range of fiber laser marking machines providing an industry-leading 100,000 working-hour lifetime. With simple point-and-click software, Beamer Laser has what your operation needs – whatever its focus. From tracking and traceability, serialization, 2D codes, and decorative laser marking – in industries from automotive to medical and more. Save production time and boost productivity with these affordable solutions. Beamer offers user-friendly off-the-shelf standalone turnkey solutions; as well as custom fully-automated solutions with extremely fast turnaround times. Whatever your direct part marking needs – Beamer Laser has a solution that will enhance your product quality and give your operation a competitive edge. R.I. Carbide Tool Co. was founded in 1959 in New England’s Smithfield RI., on the premise that there was a great need for skilled craftsman in the field of specialized precision tooling. Even now, with today’s state-of-the-art manufacturing, there is still a primary need for these services. We understand the urgent needs of our customers. They require critical high quality tools and parts, at a reasonable price with an unreasonable delivery date. The manufacturing synergy gathered under one roof will allow us to respond to multiple tasks simultaneously while keeping costs under control. Headquartered in Russia, Ohio, Voisard Tool was originally founded in the 1960s as a regrind shop that was focused on supporting the cutting tool regrind service needs of local manufacturers in the Dayton area and throughout Ohio. In the 1980s the company purchased its first CNC grinding machine. Voisard Tool also started to make original tools, while still providing the regrind services that the market had come to know them for. Over the years the company has continued to invest heavily in CNC grinding technology and today Voisard Tool has more than 20 state-of-the-art CNC grinding machines that produce high quality cutting tools every day of the week. As Voisard Tool grew over time, the company embarked on several facility expansions. Today the company is focused on producing high quality end mills, drills and special cutting tools for demanding applications. Voisard Tool is focused on carbide cutting tools, including standard end mills, high performance end mills, coolant-fed drills, step drills, high performance drills and other special carbide cutting tools. The company has an exceptionally talented and dedicated workforce and prides itself on providing high quality cutting tools, coupled with an extraordinary focus on customer service. Voisard Tool stands ready to invest heavily in support of the growth of its customers, which now include businesses throughout North America, South America, Asia and Europe.